The complications from S. aureus bacteremia (SAB) and infective endocarditis (SAIE) are higher in patients with diabetes. We summarize the characteristics and outcome of diabetic patients enrolled in a multicenter trial of daptomycin vs. standard therapy for SAB and SAIE. Adult patients with SAB were randomized to daptomycin 6 mg/kg/day or standard therapy (vancomycin 1 g every 12 h or antistaphylococcal penicillin 2 g every 4 h, both with gentamicin 1 mg/kg every 8 h for 4 days). 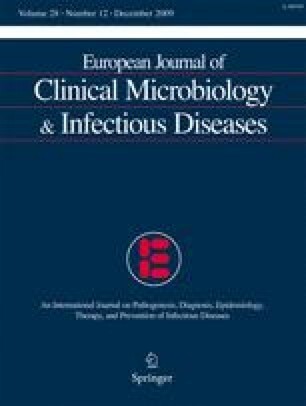 Clinical success was defined as survival, resolution of S. aureus infection, and clinical outcome of cure or improved 6 weeks after end of therapy. Diabetic patients (86/235) were older, more overweight, and were more likely to present with systemic inflammatory response syndrome (SIRS) and to have complicated SAB. Clinical success rates were similar (67.4% in diabetics and 70.5% in non-diabetics). The mortality rate was significantly higher among diabetic patients (22.1% vs. 11.4%, p = 0.038). In the diabetes subgroup, the clinical success and mortality rates were comparable between the daptomycin and the standard therapy arms. The presence of diabetes is associated with significantly higher mortality in patients with SAB and SAIE. Daptomycin is an alternative therapeutic option in diabetic patients with these serious staphylococcal infections.